Q: What is the Guild Showdown? A: The Guild Showdown is an event. Guilds will be placed into Divisions based on their Might and previous event results. Register to represent your guild in the Showdown and fight against rival guilds! Q: What are the entry requirements? A: Guild members can register to represent their guild in the Registration phase. Guilds must have enough contestants to participate in the Showdown (the number of contestants required depends on the Division the guild is in). Max 100 registrants per guild. Q: What are the registration requirements? A: You must be in a guild, and your Castle must be Lv 9 or above. 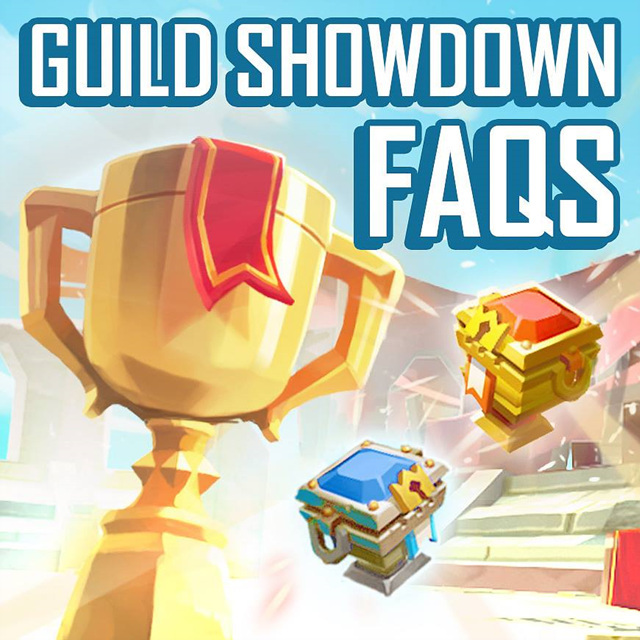 Q: Can I leave my guild after registering for the Guild Showdown? A: Yes! However, please note that you can only register for one guild. The system logs your information under the guild you have registered for, and you cannot represent another guild. You will still be able to enter the event if you return to your original guild. Q: Can I change my lineup after registration? A: Yes, you can change your lineup at any time during the registration period. The "Register" button on the event page will become "Change Lineup" once you have completed the registration. Q: How many Divisions are there? A: There are 25 Divisions in total. New guilds will start from Division 1. Guilds within each Division will be randomly placed into groups of 16. Q: What is the event format like? A: Players will face contestants from a rival guild. Each player will battle a rival player, starting from weakest to strongest (Might). If victorious, they will battle their next opponent with their remaining army. Q: Will my troops die or be wounded in the Guild Showdown? Q: Will Battle Fury be activated by participating in the Guild Showdown? Q: Can I send Heroes to participate in the Guild Showdown? Q: Will changes to my active boosts be applied to my registered army? A: No. Your active Talents, Equipment, Army Lineup, Turf Boosts, and Might will be recorded upon registration and applied for the event. Q: How does registration work? A: All required information will be recorded upon registration. Your registered army will be used at the start of each match. Heroes and troops fighting in the Showdown will not be wounded or killed. What happens in the Showdown, stays in the Showdown! Q: What will happen if my guild does not have enough contestants? Q: How do rankings work in the Guild Showdown? A: Rankings will be based on total event points. If multiple guilds have the same points, the guild with the highest Might will win the tie. Q: How does the Division system work? A: Guilds placed in Divisions 1 to 6 will not be relegated to lower divisions. In Divisions 1 to 5, guilds that finish in the top 8 will advance to a higher Division. Guilds in Divisions 6 or higher will advance if they are ranked in the top 4. However, guilds in Division 7 or higher will be relegated if they are in the bottom 4. Q: How do I watch the Guild Showdown matches? A: Only players who have successfully registered under a guild can watch Showdown matches. Players can only watch matches in their Guild's group. Matches can be watched live as they are in progress. Battle replays will also be available after a match is over. Q: How do I collect event rewards? A: Registered participants can claim their rewards after all matches have ended. Tap on the event page to check your guild's ranking, and claim your rewards before the event ends. Q: Do all Divisions get the same rewards? A: No. Guilds in higher Divisions will get better rewards. Previous Previous post: Lords Mobile Event Preview: Witness an Epic Clash of Guilds!